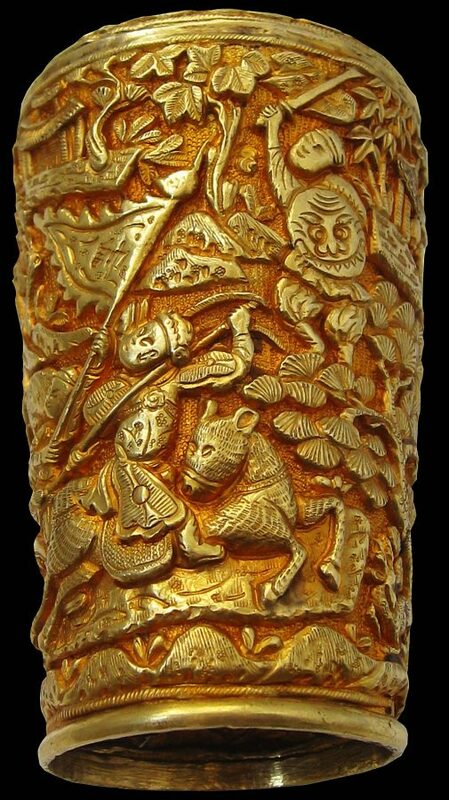 This walking cane top comprises a gold base beautifully chased with typically Chinese battle scenes with soldiers mounted on horses fighting against a backdrop of conifers and temples, with an inset gold top that is monogrammed with the emblems and title of the Maharaja (later the Sultan) of Johor (also spelt as Johore). 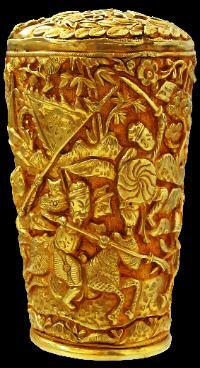 The cane top is a rare example of Riau or Johor-made gold by local Chinese goldsmiths. 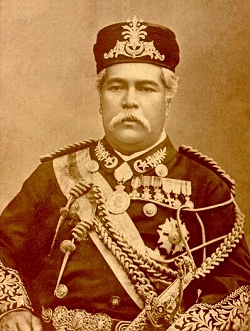 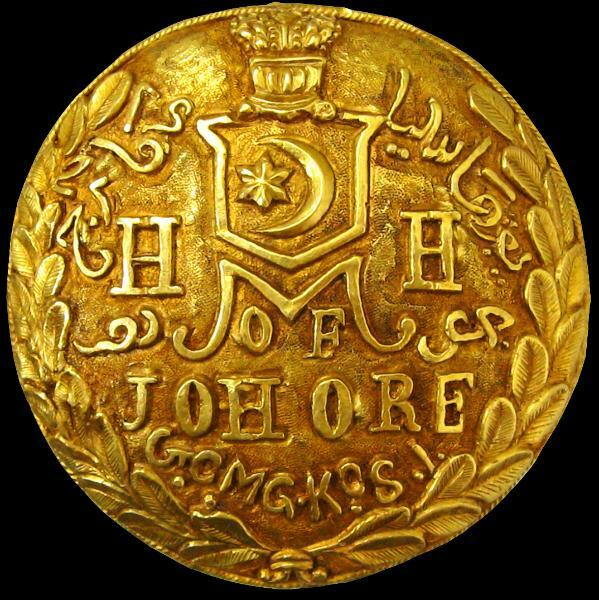 Such goldsmiths served the local Malay rulers and the wealthy peranakan or Straits Chinese community who commissioned elaborate gold belt buckles and the like from local artisans. 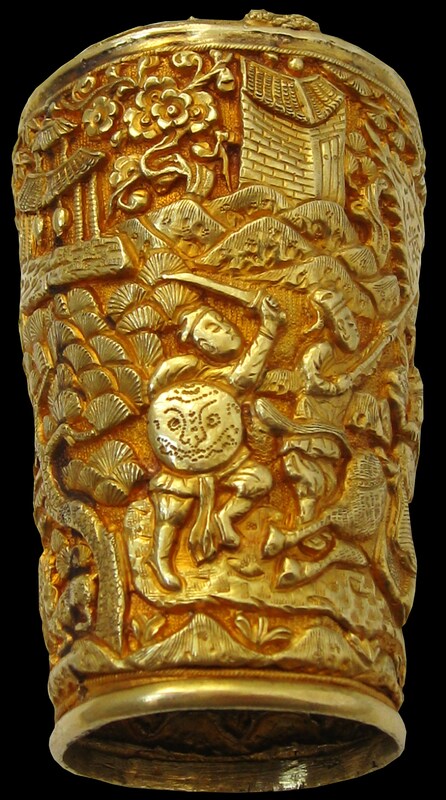 The base of the cane top has a reddish hue which accords with local Malay tastes. 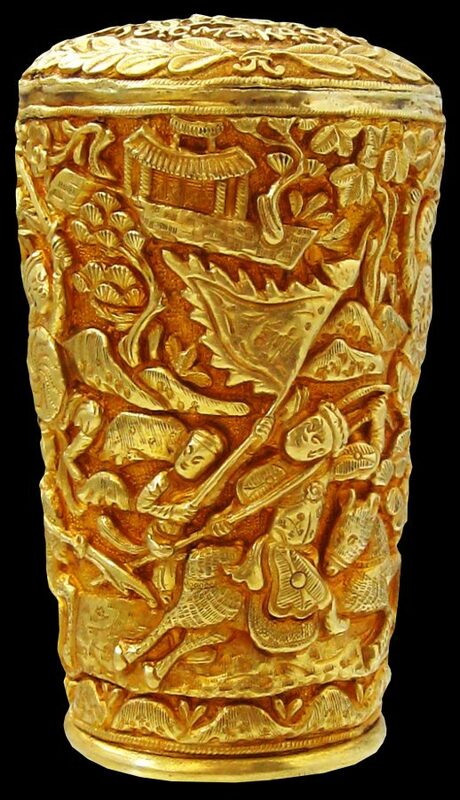 This was achieved by staining the gold with tamarind.